Let’s start our review list with the most affordable headphones on the global market and proceed with higher-priced items. 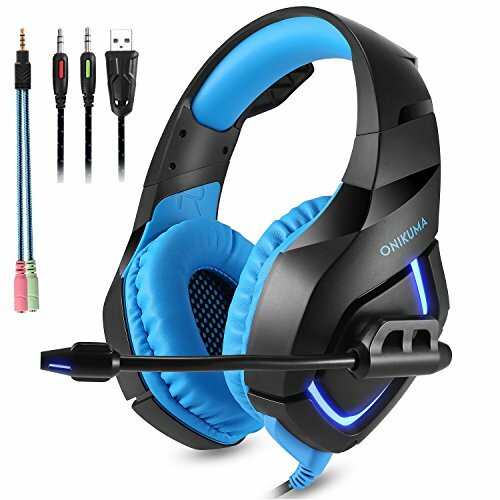 This Onikuma Headset is the most affordable wired headset that gives the user a very satisfying Gaming and microphone performance for the price. For only $26.99, it’s most likely one of the best budget headsets out there, and feels really comfortable on the head and has an impressive strong-luxurious feel compared to the price. Users rated these headphones with 4.0/5. Probably you won’t get anything better for this price. PROS: Comfortable. Strong audio performance for the price. CONS: Not very accurate mic placed in a noisy place. 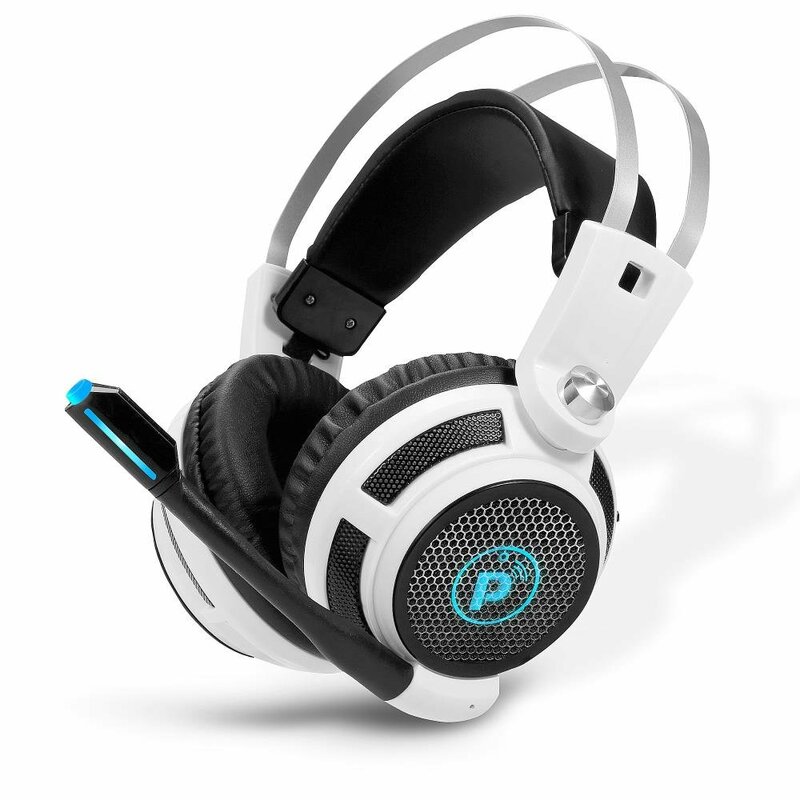 These Pyle Headphones deliver great sound and are very comfortable to wear for many hours of computer use. The microphone performs excellent according to user reviews and you can easily do conference calls and other business-related use. These headphones also deliver 7.1 Virtual Surround Sound, on ear volume knob, adjustable 135 degree range and stylish LED lights, that make these headphones look like premium ones. Users have rated them with 4.3/5, so for this price you will get a very good bargain. PROS: Light, so they are easy to wear on your head comfortably. No pressure points. Quality virtual surround audio, deep bass. The fabric cord doesn’t tangle. Has a decent heft to it. Quality mic audio if you’re in a quiet room. CONS: The mic picks up background noise, but is not a problem if you’re in a quiet room. The earphone pads, while comfortable, get hot occasionally. 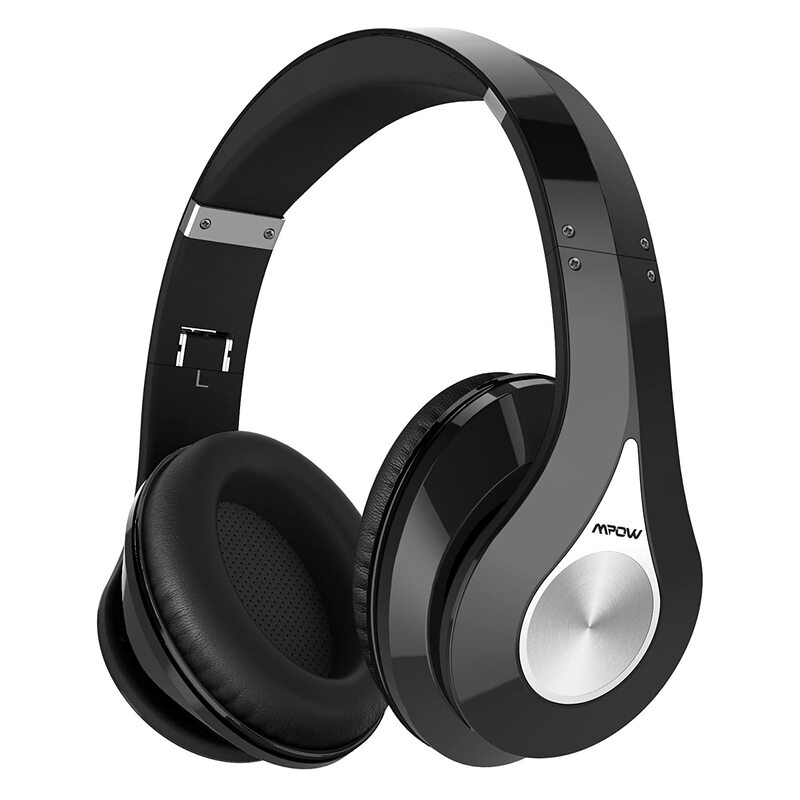 The Mpow 059 Headphones are best-selling average wireless headphones made to suit every user. They are very comfortable, good looking and provide a long battery life. Although they won’t be the ideal headphones for working out or for blocking the noise of your commutes, but their sound quality and features are surprisingly decent for their price range. Great for desktop work or entertainment. PROS: Good battery life, efficient control scheme, good quality sound. CONS: Poor noise isolation and plastic build. Click here for a YouTube video review. 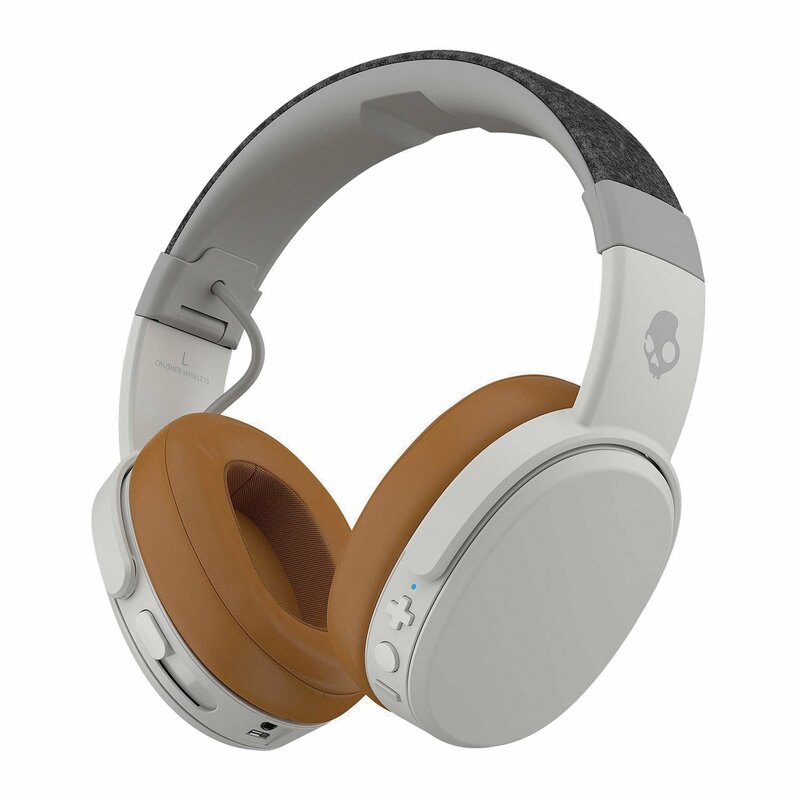 The Skullcandy Crusher are Wireless Bluetooth headphones that offer a special bass resonance chamber. Great minimal and elegant design and great deep sounds of amazing quality are one of these headphones’ main factors. They have a microphone and volume control buttons included and provide you with up to 40 hours of battery life on a single charging, with folding cups as well. For the price of under $130, these headphones look and sound really good. PROS: Solid “basic” sound, great battery life, good wireless connectivity. CONS: Perhaps they sound a little unrefined. The Cowin E8 is the newer version of the amazing Cowin E7s. These headphones are a really good pair of noise-canceling with high quality audio. They’ve been very popular on Amazon for many years due to this. Cowin E8 is a step up from the E7s delivering better performance for a slightly higher price. 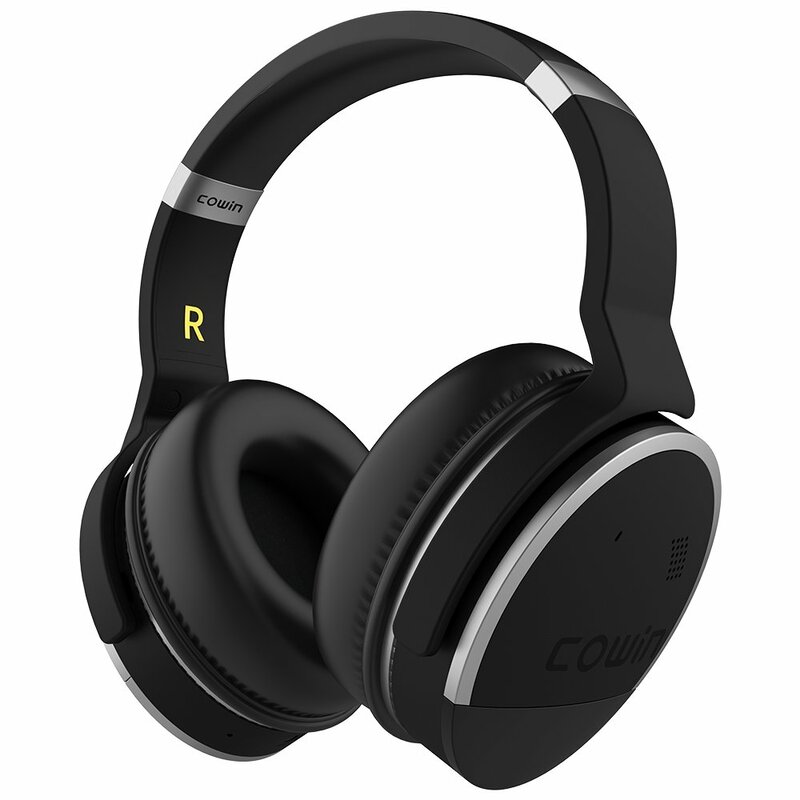 Cowin is a very good brand that has always sold only the best sounding (and looking) headphones but now they wanted to make something even better so they decided to equip the Cowin E8 headphones with 40mm stereo drivers. They are also 25% louder than the previous model. With Bose QuietComfort 35 you will get the Premium audio experience with superb full noise cancellation of your environment, excellent quality microphone for calls, light and comfortable design and long battery life. Nobody shuts the surrounding sounds better than Bose. Its QuietComfort headphones are perpetually the ones to beat when it comes to noise cancellation. 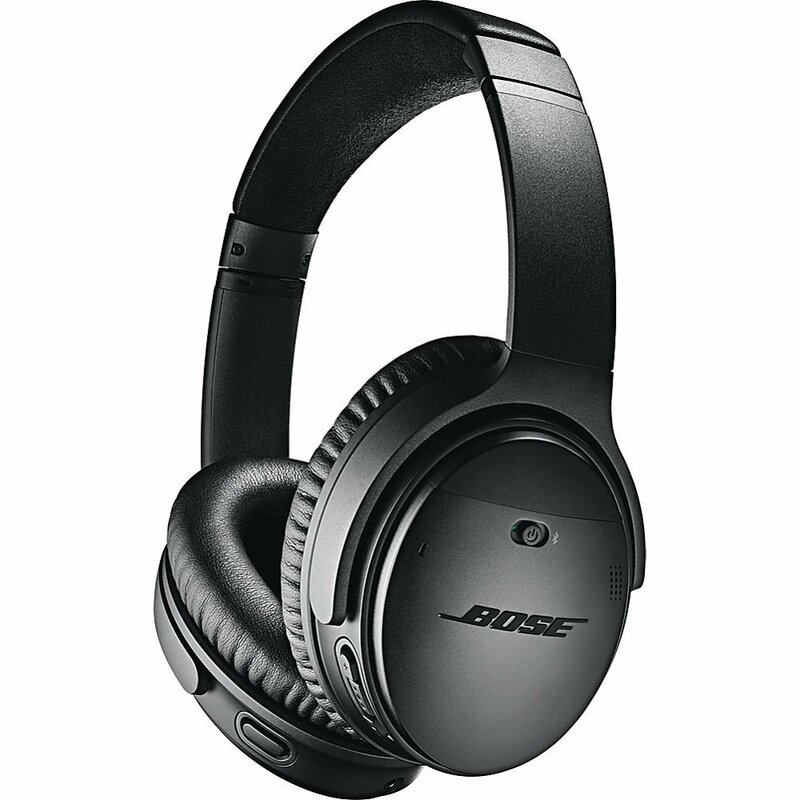 In 2016, the Bose made their first wireless headphones and some of the best results lay in the QuietComfort 35 headphones that are some of the best Studio-quality headphones on the whole market. Click here to watch a YouTube video review!